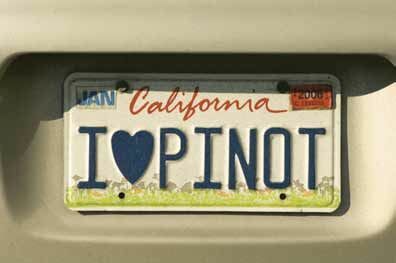 The 2013 Pinot Noirs from California and Oregon are rolling in, but they are not creating the buzz of the 2012 vintage or the potentially spectacular 2014 vintage. I usually tell consumers not to concern themselves too much with vintages, other than to note that vintage variation is a positive in most instances since it results in a variety of styles of Pinot Noir. Variety is the spice of life, right? I also emphasize that great producers seem to vinify special wines in every vintage, indicating that more attention should be paid to the producer than the vintage. Vintage variation is more pronounced in the Willamette Valley compared to California and this was well demonstrated in 2013. The 2013 Pinot Noirs from Oregon do not generally match the quality of the 2012 vintage Pinot Noirs. Like a bag of M&Ms - the 2013 Pinot Noirs all taste pretty good but few really stand out. Even in California, which experienced a very long and sunny growing season, I have found that the 2013 wines are not as glorious as those from the preceding 2012 vintage. 2013 was a good news-bad news vintage in the Willamette Valley. The summer was sunny and mild and grapes were ripening on schedule, paralleling the weather in California. Climatologist Greg Jones of Southern Oregon University reported that the 2013 growing season for Oregon vineyards was comparable to the 2003 warm vintage.The bad news arrived in late summer when monsoon-like rains inundated the Willamette Valley from September 22 to October 3, dropping 4 inches of precipitation. Some vineyards in the Chehalem Mountains received almost 7 inches of rain in September. Tiny seedless berries burst and that brought in the birds and invasive fruit flies. The most promising grapes were those that were fully ripe and picked before the rains. After the rains, the weather remained cool and dry, and some healthy, remarkably resilient grapes made very good wines, but not all grapes were ideal and some had botrytis. Overall, the crop was bigger in 2013. Look forward to the 2014 vintage wines from Oregon. Said to be a “Goldilocks” vintage, the weather was not too hot, not too cold, and not too rainy. 2014 was the warmest season on record in the Willamette Valley, but not due to high maximum temperatures, but due to higher than normal minimum temperatures. A warm spring led to an early bud break, and the season maintained warm temperatures throughout. Nighttime temperatures were well above normal and this accelerated ripening. Harvest began at the very beginning of September. The dry weather inhibited disease pressure, leading to large crop loads and a ripe vintage. The 2013 vintage was generally more successful in California, which experienced a warm growing season and a dry fall. It wasn’t particularly hot, but wasn’t cold like 2011 or even 2010. Vines budded out early, set early, and grapes were harvested early. There were no significant temperature spikes above 90º F, and ripening was uniform. Crop loads were high in most regions. Adam Lee, winemaker at Siduri, summed it up best when he said, “They (the 2013 Pinot Noirs) are at least very good, maybe better, but I am not certain they are at the level of 2012.” A lingering drought in California remains as the biggest concern in coming years. Vintage challenges have not been a deterrent to the dedicated souls who continue to grow and make Pinot Noir. I still am amazed at the number of new players who continue to enter the business, undaunted by the vagaries of vintage and the current drought in California. To quote Jane Firstenfeld, writing in Wines & Vines (January 2006), “Passion will not be denied, and every year, more than a handful of brave souls take heart in hand, lay their money down and take their chances starting new wineries.” Increasing Pinot Noir sales have contributed the impetus to court the most darling of all grapes. 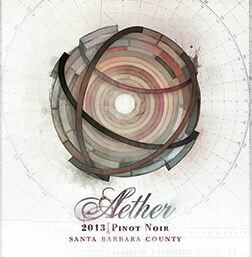 The following pages contain recent reviews of Pinot Noir, Pinot Noir Rosé, Pinot Noir Blanc, and Chardonnay, most of which are from the 2013 or 2014 vintage. Collette and Matthew Gacso bought the August Briggs winery from August Joe Briggs in 2011. As former employees, they have strived to keep the style and vineyard selections as close to the same as possible. Joe’s nephew, Jesse Inman, is the winemaker. Visit www.augustbriggswinery.com. 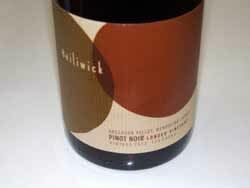 Two more 2012 releases from Bailiwick. The Sonoma Coast, Borderline Marin County and Sangiacomo Sonoma Coast Pinot Noirs were reviewed in November 2014. 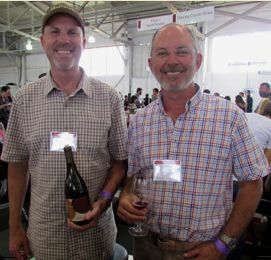 The winery founders are brothers Paul and Bryan Vais who are natives of the San Francisco Bay area. They made wine in their garages for 25 years before starting a commercial label. The winery launched with the 2009 vintage with resounding success. Visit www.bailiwickwines.com. 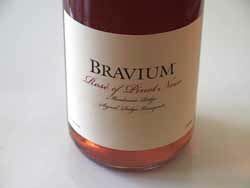 Bravium translates from Latin as “reward, prize or gift.” Proprietor and winemaker Derek Rohlffs founded Bravium in 2007 to produce terroir-driven Pinot Noir and Chardonnay wines from coastal California vineyards in Anderson Valley, Mendocino Ridge, Napa and Sonoma Carneros, Santa Cruz Mountains, Santa Lucia Highlands, and Sonoma Coast AVAs. Wines are sold direct to mailing list members and to select retail stores and fine restaurants. The wines have a distinct style, featuring significant oak overlay, fruit-driven flavors, and high acidity. Visit www.bravium.com. The Heintz family bought the Heintz Ranch land in 1912 and planted apple orchards there in 1914. In the mid-1980s, vineyards were established. Charlie and Karen Heintz are the third generation to farm this land which is now planted to Pinot Noir, Chardonnay and Syrah. The property is uniquely located in three appellations: Sonoma Coast, Russian River Valley and Green Valley. 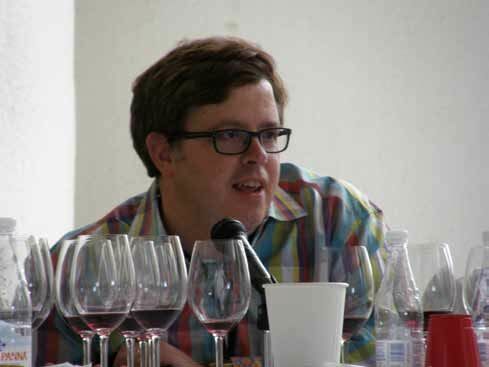 Hugh Chapelle has been the winemaker since the 2012 vintage and with him on board the wines have been superb. To commemorate the 200th anniversary in 2014 the estate wines are named after family members who have been instrumental in keeping the Heintz legacy alive. A second 2013 estate Pinot Noir will be released from the Swan clone planting exclusively and will be reviewed when released. 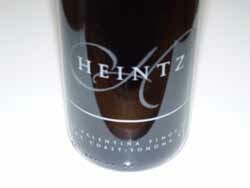 Visit www.heintzvineyards.com. 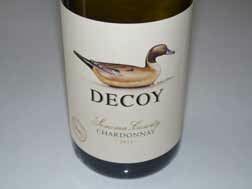 Decoy, part of the portfolio that includes Duckhorn Vineyards, Paraduxx, Goldeneye, and Migration, offers affordable, and remarkably good wines despite very large production. The current winemaker is Dana Epperson, who previously was in charge of grower relations at Artesa Vineyards & Winery where she oversaw almost 25 different properties. At Artesa, Dana was mentored by Artesa winemaker, and former Duckhorn Vineyards winemaker, Mark Beringer. Dana says, “In a way, I studied the Duckhorn Wine Company style before I ever came to Decoy.” Grapes are picked a little earlier to preserve fresh varietal notes. The wines are widely distributed to retailers and restaurants. Visit www.duckhorn.com. 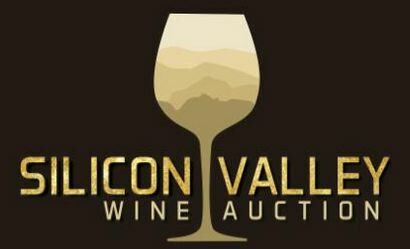 Rich Frank, former President of Disney Studios, and Emmy-award winning journalist Leslie Frank own this winery which produces wines from 380 acres of estate vineyards spread throughout the Napa Valley. The winemaker is Todd Graff. This year, Frank Family Vineyards received Napa Green certification for both its vineyards and its winery. Additionally, the winery received the award for “Best Napa Winery” for the sixth year in a row from the “Bay Area A-List” San Francisco City Voter polls. Visit www.frankfamilyvineyards.com. The estate Lewis Vineyard is located in Napa-Carneros, near the shores of San Pablo Bay. It was purchased by Rich Frank in 2000, and named for Paul Frank’s son, Lewis. It consists of 86 acres of rolling hills, with 58 acres planted to Chardonnay and 10 acres to Pinot Noir. Soils are primarily shallow and dense clay loam. Veteran winemaker Richard Longoria established Longoria wines in 1982, but has worked in the Santa Barbara County wine industry since 1976. 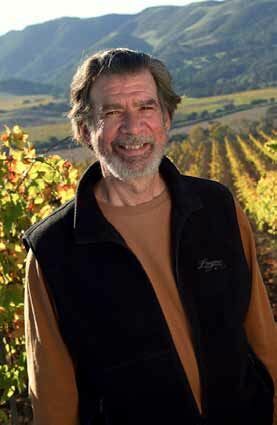 He became the winemaker for J. Carey, and later The Gainey Vineyard in 1985, leaving that steady employment in 1997 to devote his full energies to Longoria Wines. 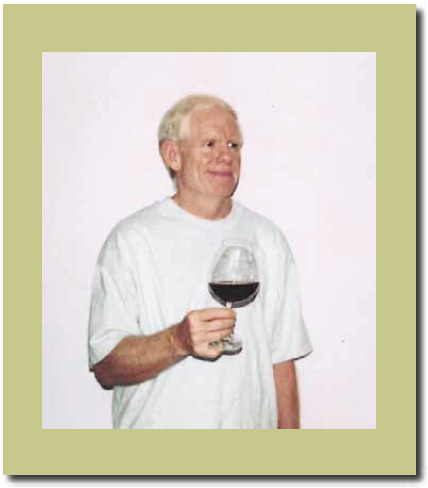 In 1998, he moved his winery operation into the “Lompoc Wine Ghetto,” the first winery to be established in Lompoc. In 2014, Rick moved into a new winery on the site of Lompoc’s historic JM Club, with the Longoria Winery Tasting Room located in the former club house. 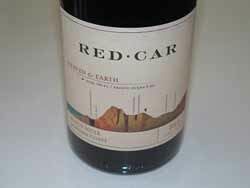 Pinot Noir is sourced from several notable vineyards in Santa Barbara County and the estate Fe Ciega Vineyard established in 1998 at the western end of the Sta. Rita Hills AVA at the end of Sweeney Road. Total production averages 3,000 cases, with wines handcrafted in small quantities ranging from 50 to 700 cases. 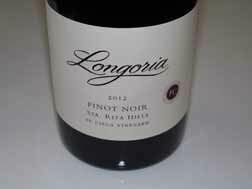 Visit www.longoriawine.com. Founded in 1995 by Scott and Annie Shull, Raptor Ridge Winery is celebrating its 20th anniversary this year. 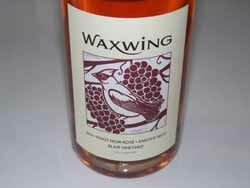 The winery is named for its location on a ridge in the Chehalem Mountains AVA which is a haven for native raptors. Known for single-vineyard Pinot Noirs sourced from a rich tapestry of select Willamette Valley sites (up to 12 in a given vintage), and the 18-acre estate Tuscowallame Vineyard planted predominantly to Pinot Noir with 1.5-acres of Grüner Veltliner. 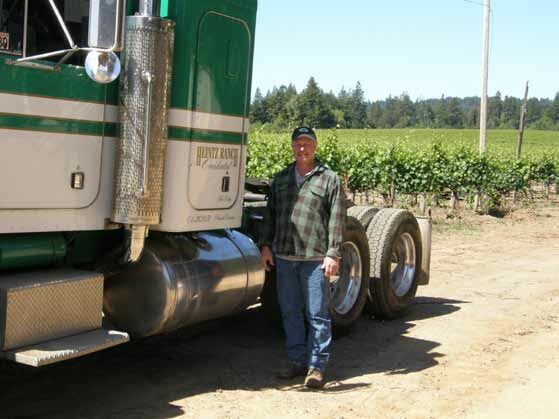 Scott Shull is the winemaker, assisted since 2008 by Kevin Wiles. Visit www.RaptorRidgeWinery.com. 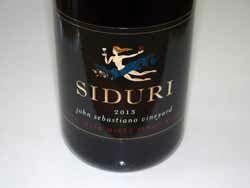 Siduri Wines was acquired by Jackson Family Wines earlier this year. Adam Lee stayed on as winemaker and the winery will continue to function at its current urban warehouse facility in northwest Santa Rosa. where production has increased to 25,000 cases annually. 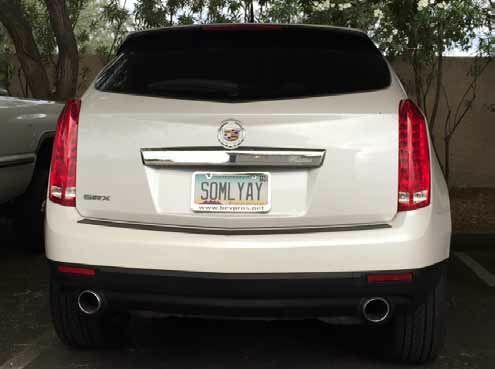 The Lees decided it was a good time to sell as they wanted more time to spend with their three children. An added bonus will be access to the many Kendall-Jackson vineyards in Oregon and California. Visit www.siduri.com. 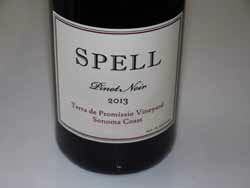 This Pinot Noir specialist owned by Bill and Tiki Spell offers wines crafted by Andrew Berge, a German expatriot who learned his winemaking with stints in Germany, New Zealand and California. 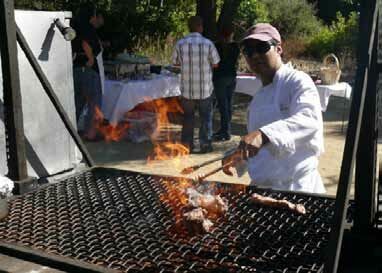 Grapes are sourced from some of California’s most outstanding coastal vineyards in Sonoma County and Mendocino County. Visit www.spellestate.com. I found the 2013 wines to consistently offer excellent balance. 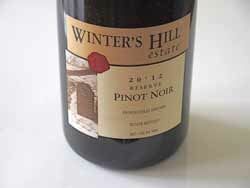 Some excellent Pinot Noirs from the 2012 vintage are also still available on the website. Winemaker Scott Sisemore is proud of his latest Pinot Noir Rosé which is a dedicated rosé project and not a bleed or saignée to enhance Pinot Noir lots. Grapes were harvested from Blair Vineyard in the Arroyo Seco AVA at a relatively low Brix (21º-22º). The grapes were whole cluster pressed without going through a crusher/ de-stemmer. The juice was fermented very cool in 70 gallon stainless barrels on the cellar floor. 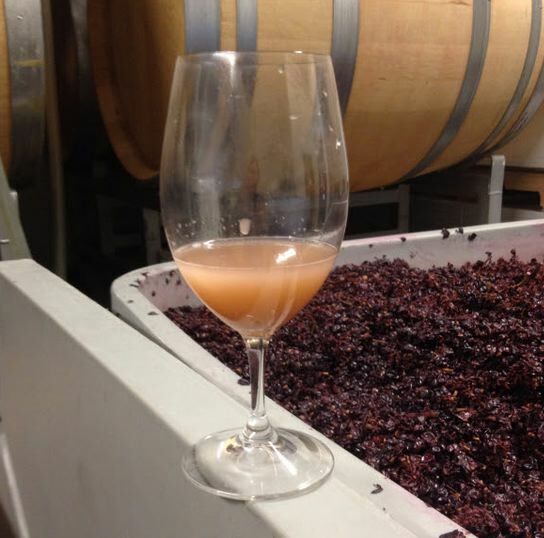 The photo below shows a glass of fermenting rosé juice which is very cloudy due to the enormous amount of yeast cells actively fermenting sugar to ethanol. In the background is a standard Pinot Noir fermentation with the skins fermenting with the juice to extract color and phenolic material. After fermentation, the rosé wine is racked off the fermentation lees, a touch of sulfur dioxide is added to prevent secondary malolactic fermentation and the barrels are stoppered for aging before bottling in early spring. On the way to bottle, the wine is sterile filtered to prevent a secondary fermentation in the bottle. The 35-acre Dundee Hills estate vineyard is south facing, at an elevation of 525-730 feet elevation. Planted to Pinot Noir, Pinot Blanc and Pinot Gris, It is bordered on the East by Domaine Serene, on the South by Stoller Family Estate, and on the North by Vista Hills. Soils are volcanic Jory. The estate has been Certified Sustainable and SalmonSafe since 1999. All Winter’s Hills wines are from the estate vineyard. Visit www.wintershillwine.com. The pulp and juice of the Pinot Noir grape are clear and most of the aromas, flavors and color of Pinot Noir comes from the grape!s skins. A white wine can be produced from Pinot Noir if the grapes are pressed after harvesting, avoiding any skin contact with the juice. 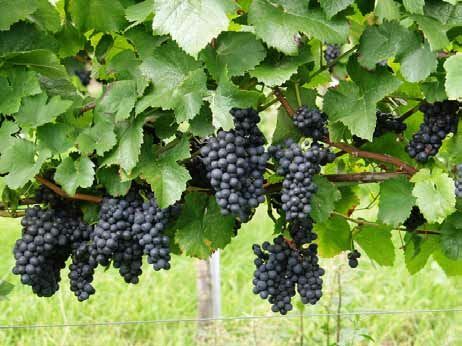 The resulting wine is the essence of Pinot Noir grape juice or Pinot Noir Blanc. Pinot Noir Blanc should not be confused with Pinot Blanc which is a white grape genetic mutation of Pinot Noir. It is often confused with Chardonnay, and wineries vinify it in a similar style, sometimes using barrel fermentation and malolactic fermentation. 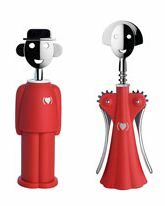 It can also be made into a crisper style wine vinfied in stainless steel. I don!t understand why one would take perfectly good Pinot Noir grapes and vinify a white wine that lacks the typical aromatic and flavor profile of Pinot Noir that wine drinkers adore. It is a quirky, curious wine that may interest those looking for something different, but I would rather drink a glass of red Pinot Noir. Because these wines are made from expensive Pinot Noir grapes, the price can be surprisingly high for a white wine, further diminishing its redeeming value. My favorite Pinot Noir Blancs that I have tasted over the past few years have all been from Oregon: Prismé from Annie Amie Vineyards ($40), Coeur Blanc from Domaine Serene ($95), Left Bank Pinot Blanc from Left Coast Cellars ($20), and “Corduroy” Pinot Noir Blanc from Phelps Creek ($59). Swirling wine in a glass can send a wine through many personality changes. 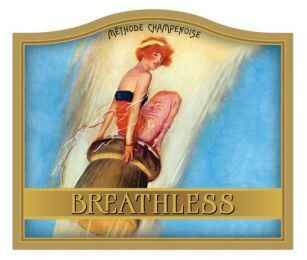 The additional exposure to oxygen from swirling aerates wine by increasing the surface area, releasing and volatilizing more aromatic esters, ethers and aldehydes, and intensifying the nose. I find that swirling often brings out more oak character, if present, in a Pinot Noir. In addition, swirling a wine allows oxygen to react with tannins in the wine to allow the wine to mellow. There is a proper technique for swirling wine that should be practiced. Hold the wine glass by the stem (never the bowl) between your fingers and thumb, tilt the glass slightly, and gently swirl the wine counterclockwise at the wrist if you are right-handed. Avoid being too vigorous, as wine will inevitably slosh over the sides of the glass: an embarrassing situation. Beginners often swirl wine with the glass placed on a table, since this is easier and equally effective. It does not matter which way you swirl wine, although a French fable claims that when you swirl wine clockwise, the wine will release fruit aromas, and when you swirl wine counterclockwise, earthy scents will fill the glass. I tested this BS myself and found no aromatic difference concerning the direction of swirling with the same wine. Also, the French believe that rotating wine counterclockwise is bad luck. Never swirl sparkling wine or Champagne as it will dissipate the bubbles and the wine will quickly go flat. One of the drawbacks of learning to properly swirl, is that once you have mastered the technique, you will find yourself swirling everything, leading to stares from others as you happily swirl glasses of tap water.